XRP needs no introduction now. 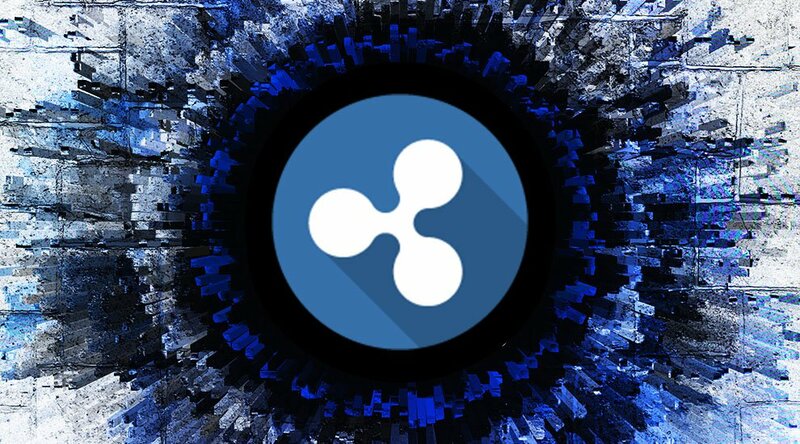 With a huge market cap and eyes of so many investors, the ripple has made its stable place in the cryptocurrency market. 2018 have been a bit rough year for crypto traders however Ripple was still in limelight always. Investors and crypto enthusiasts are trying to predict ripple price in the 2019 Calendar year. Ripple is the favorite of all and it is worth it. Ripple in 2017 performed really well with the price hike of almost 17000 % and it did not stop there. It has reached the third highest market cap at the time of writing this article. Above all 218 has been a bad year for cryptocurrencies however Ripple still did well and managed to beat the market. Predicting the actual price of ripple in 2019 is quite impossible however there are certain factors which can influence the price of Ripple in 2019. As per Ripple’s recent announcement, the ripple is going to merge all their technology solutions to one and XRP token will perform the key role in this. Though it is not clear when this merging will happen however this news will attract a lot more investments in XRP. This merger will improve the efficiency of XRP token and ripple’s technology solutions. We expect more information on this from Ripple this year and it will be very interesting to see the impact of it on the price of Ripple. Ripple has a total of 100 billion XRP supply. Ripple has put 55 billion of XRP in its escrow which establishes the certainty or XRP token supply at any given point of time. This step will allow people to be able to make mathematical calculations of a maximum number of XRP token in the market. This builds a trustworthy and healthy relationship of ripple with the market and increases liquidity. The financial partnership of ripple is a backbone of Ripple now. The list of Ripple partnership is continuously increasing, and it has approximately 200 clients as of now from all over the world including multiple banks and financial institutions. A number of banks have shown interest in Ripple and many of the banks are already using ripple for their global payment solutions. The partnership structure of ripple is attracting more clients and Ripple is working towards expanding this partnership. These partnerships are seeds to the growing price of Ripple. Ripple recently got listed on Binance and coinbase. These are the strong crypto exchanges and listing on these crypto exchanges will have a good impact on the price of Ripple. Ripple is an influential coin and attracting exchanges all over the world. These listings will increase the credibility of ripple coin. Ripple is the most efficient cryptocurrency which is breaking all kind of stereotypes. In terms of transaction speed and cost it is beating the SWIFT and Bitcoins. The global remittance sector is a sector of the worth of hundreds of millions of dollars and there is potential growth of ripple expected. These are a very important factor which has increased the market cap of ripple and compete with Bitcoin. Keeping all these key factors in mind and studying detailed ripple rise and fall graph, experts and crypto enthusiasts have predicted the value of Ripple in 2019. People believe that XRP can go up to three times its current value and could easily reach 3$. Some also predict that it can go beyond 5$. As many of the companies and institutions are moving forward to adopt Ripple to make digital global payments worldwide, it automatically increases the value of Ripple. These factors are basically advancement in ripple and its technology and if the rate of growth of these factors remains the same, ripple might cross 5$. The price prediction not only says it will go beyond however there are some limiting factors too. These are the factors which could cause a dip in the price of Ripple. Though banks have opened a window for ripple, it still needs recognition in the sector. The growth of ripple is still uncertain and most of the banks are just trying ripple as of now. The price of any coin is expected to reach a certain level and then the company might re-adjust the price. It happened in the case of Ripple previously as well. Ripple had a huge hike, but it did not last for long and since then the price of Ripple has fallen. It is still struggling in terms of price and graph of 2018 has been a constant one for ripple. No matter how much ripple grows it is still undergoing few lawsuits. Ripple is making all the efforts to come out through it however until it is not clear it will impact the price of ripple. Besides everything as we say, cryptocurrency is volatile in nature. Ripple managed to bear in the crypto market in 2018 and performed better than any other cryptocurrency. Ripple is one of the most influential and relevant coins. Altcoins and other cryptocurrencies come for a short period of time however ripple is trending all the time. When the crypto market in 2018 was struggling to survive, Ripple managed to be in headlines every week. Ripple is the most potential cryptocurrency or digital token in 2019 and so on. Bitcoin was leading the crypto market alone however ripple is the only one to challenge and compete with Bitcoin. Unique nature of Ripple and high efficiency has attracted a lot of investors. Ripple has the highest number of partnerships and it is still counting.